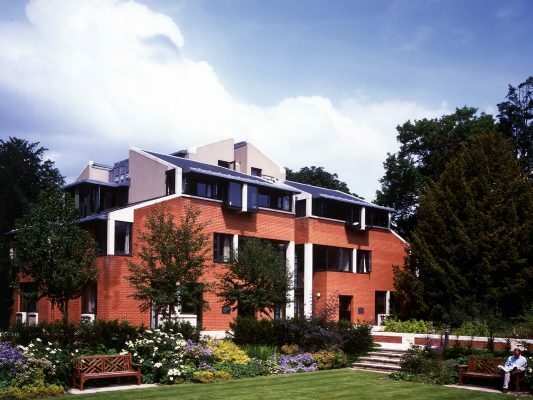 The site, which forms an annex to the College, is in the extensive grounds of an Edwardian house, away from the city centre. Because of the sensitivity of the site, we carried out a feasibility study to identify the most appropriate place to locate the new building. 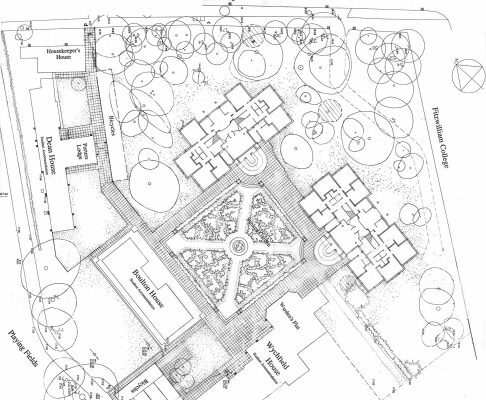 The subsequent development of the site required extensive negotiations with the planning authority. 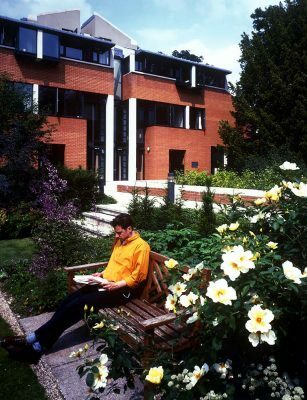 The abrupt relationship between Wychfield House and Boulton House, the block of student rooms dating from the 1960s, and the existing gardens, were major constraints upon the development of the scheme. 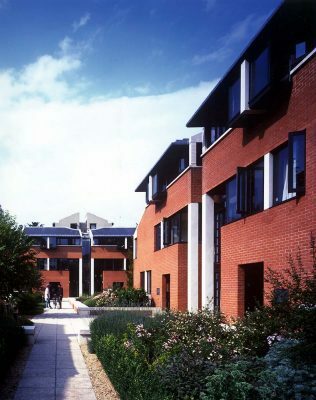 Groups of study bedrooms share a living room which forms the social focus of the building, with the staircases and kitching/dining rooms having views into it. The two blocks of student rooms that emerged from the brief are sited to form a new court with the existing buildings. The landscape penetrates the open corners of the court and there are views to the gardens beyond. A formal, sunken garden provides a focus for the court and locks the surrounding buildings into a new formal relationship. The project was completed below budget.